The Prabhakar Post: Will coming Reforms Turn Tide For Indian Equities? Will coming Reforms Turn Tide For Indian Equities? 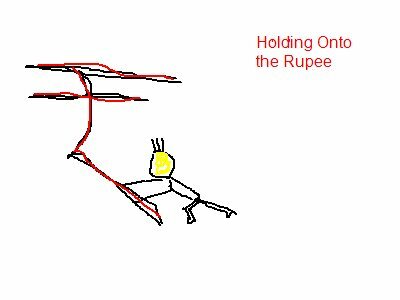 The storm generated by the fall of the Rupee against the $ does finally look like churning this UPA Government out of the apathetic lethargy it finds itself in the last two years. The statements by the Finance Minister and the Prime Minister today show a new resolve.All that filibustering on TV and school debates have reached Race Course Road it seems! These are likely post the monsoon session of Parliament ending 1st week of September.Although it may not added to corporate results immediately any such action is likely to have a positive impact on sentiment. The biggest fall has been in sentiment regarding Indian equities and currency!An improvement there will shore up the big players and play a role in the coming festive season or so I hope. Globally,notwithstanding the hullabaloo over US attacking Syria,my strong feeling is more of a surgical NATO strike with the blessing of the UN rather than an all out invasion.The US army is tired,dispirited after the Afghan Campaign(as all successive campaigns have been in Afghanisthan since Alexander) and with all that vaunted technology not leading to the capture or death of Al-Zawahri or Mullah Omar. I would not be surprised if American Military Command rebelled against another foreign war.That means that all my trader friends long on Gold and Crude need to wind their positions down if they intent to capture the recent gains. Again I am being a contrarian on India. The Goverment is capable at reigning in the CAD at 4.8% of GDP. India is a net exporter bar fuel bills. The opposition party,the BJP is again shooting itself in the foot by raking up the 'Ram' Temple as their main issue and supporting fraudulent Godmen.If their expensive PR machine cannot come up with a coherent economic plan very quickly the urban middleclass vote is lost.The Muslim vote is lost due to 'Ayodhya'.The regional 'Dalit'parties will have a chunk of the 'caste'votes sewn up.Where does that leave the Saffron Brigade? Let us hope for the country's sake that differences can be put aside and this recession that has swept in upon us will be responded to agressively. 'Growth' is the only way forward. There aint any other option this Time!